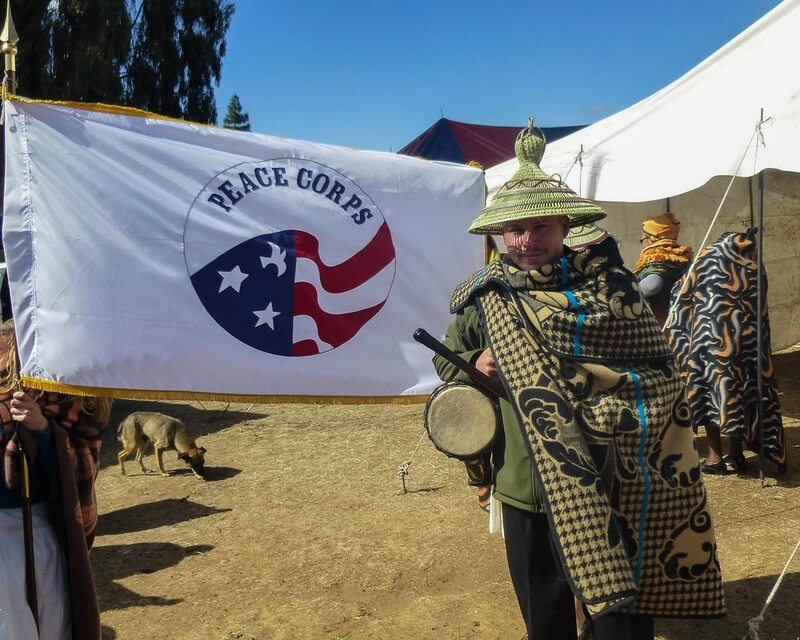 August 13th, 2013- I, along with 18 others, became official Peace Corps Volunteers for the United States and the Mountain Kingdom of Lesotho. It’s a great feeling, that’s for sure. Pre-service training seemed much longer than the 10 weeks it was. However, it provided a great foundation of skills and cultural training to build off in the next 2 years of my service. I’m very thankful for the hospitality put forth by my host family Thamae, the village of Ha Tšitso, the LCFs (most specifically ‘M’e Malineo and ‘M’e Makani), and the great PC staff consisting of Americans and HCNs. The swearing-in ceremony to mark the graduation from training was spectacular and like nothing I’ve ever experienced. All the trainees were provided with traditional Basotho clothing (pictured right). My family was honored to host the entire event. 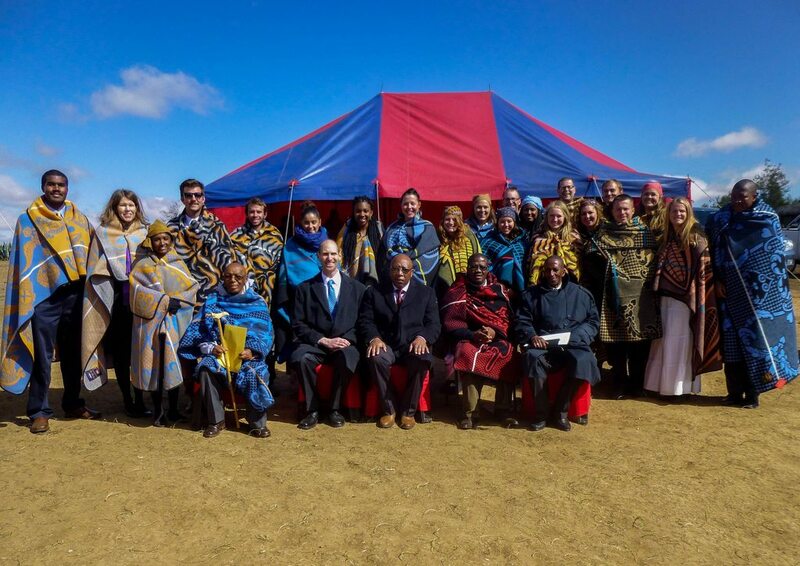 It was attended by all three training villages and their respective chiefs, the Director of Peace Corps Lesotho, Wendy Van Damme, the US Ambassador, Carl Fox, and the Minister of Gender, Youth, Sports, and Recreation, the honorable Ntate Thesele ‘Maseribane. The entire event was recorded for Lesotho television, and while none of us got to see the broadcast, some volunteers were approached in the following days with strangers exclaiming how they saw us. It began with the national anthems of Lesotho and the United States. Then we were welcomed as volunteers with introductory speeches by all the dignitaries present. In between speeches, various groups of the villages performed traditional dances. We then did the official swear-in by taking the official oath and receiving our certificates. After the proceedings had completed, we were treated to a fantastic lunch consisting of chicken, mutton, rice, papa, all kinds of veggies, and bread pudding for dessert. Special thanks to our Director of Programming and Training, Eric Goldman, who took the following superb pictures and video of the entire event. Below is an album followed by some clips. My next post will focus on my new site which is located in the mountain camptown of Thaba-Tseka. I’ll also be replying to comments on previous posts via email. Sorry for the delay! And as always, thanks for reading! Extremely proud of you, Travis. So exciting. Very proud of you. I love this blog/website. keep the info and photos coming. With the school year starting on Monday the 26th. I am already missing you. Keep up the good work. NOW THE FUN BEGINS. GREAT PICTURES. GOOD LUCK UP IN THE MOUNTAINS. Congrats Travis. I so admire what you are doing. It takes a special kind of person to do what you are doing. I totally enjoy reading your e-mails. Stay safe and congrats again. Congratulations, Travis. What a life experience! Great pictures! Stay safe. Congratulations!! Travis, or should I call you “lord of the dance”? Awesome photos! You are looking very distinguished and ready to go! IX. Happy Holidays from Lesotho! ©2017 | Travis D. Wohlrab | The content of this website is mine alone and does not necessarily reflect the views of NASA, the Peace Corps, the U.S. Government, or the Government of Lesotho.